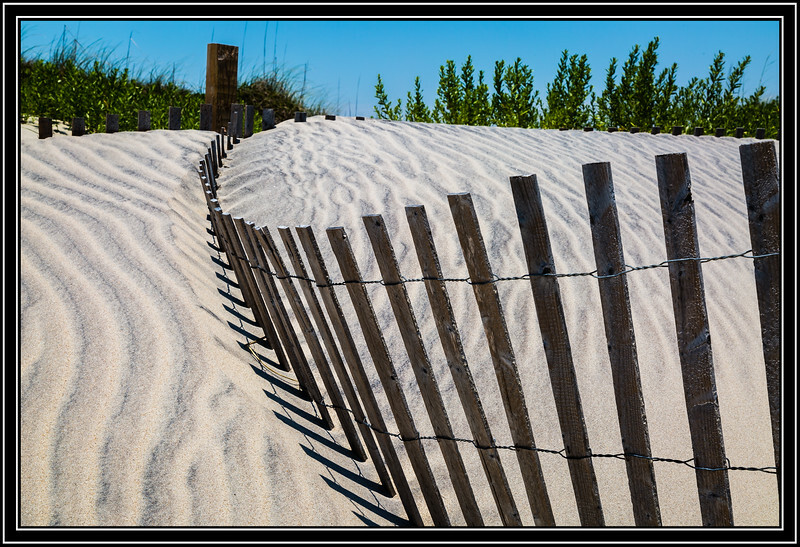 Wonderful, compelling composition Rick - love the curves in the fence and the dune sand. You did a superb job composing this photo. Intriguing shot !! Well sighted !! Nicely seen and so attractive with the waves and lines and trails in the sand.